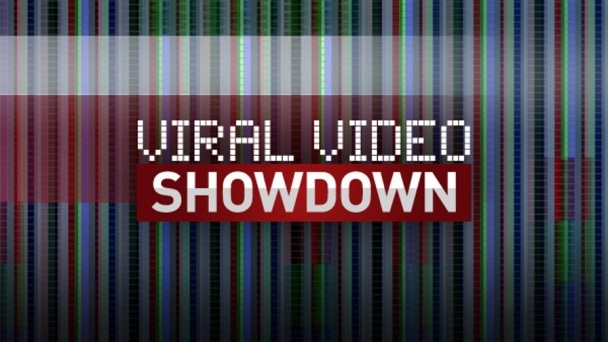 Viral Video Showdown :: Show Information :: RabbitTV GO! It doesn't take much to make popular videos nowadays. All you need is a cheap video camera (or even a cell phone), Internet access to upload the video and enough friends to share the video and make it go viral. This competition series, hosted by Kevin Pereira, pits viral video creators in head-to-head battles in which they try to earn bragging rights and a $5,000 cash prize. Each episode features two teams who must create a video centered around that episode's theme, which include giving a fairy tale a modern twist and creating a musical how-to video, with the videos being judged by a panel of viral video experts, including YouTube star Brittani Taylor. The judges decide which team wins the competition and takes home the cash.